Today is our first day of summer and you know what? We woke up at the usual time – just like for a school day. ARG!!! I was not too happy with that since it is Saturday morning, but I guess old habits take a while to change. After a year of being on a strict schedule, it will take some time for all of us to get used to a different schedule. We are looking forward to a relaxing day though. We will be going to the library this afternoon to sign up for their summer reading program and choosing some new books. And, this evening, we are going to a cookout at my parent’s house. So, that too will be nice. And sometime in the next few days, we will go swimming at the pool. And hopefully have some time at the lake and at the park as well. 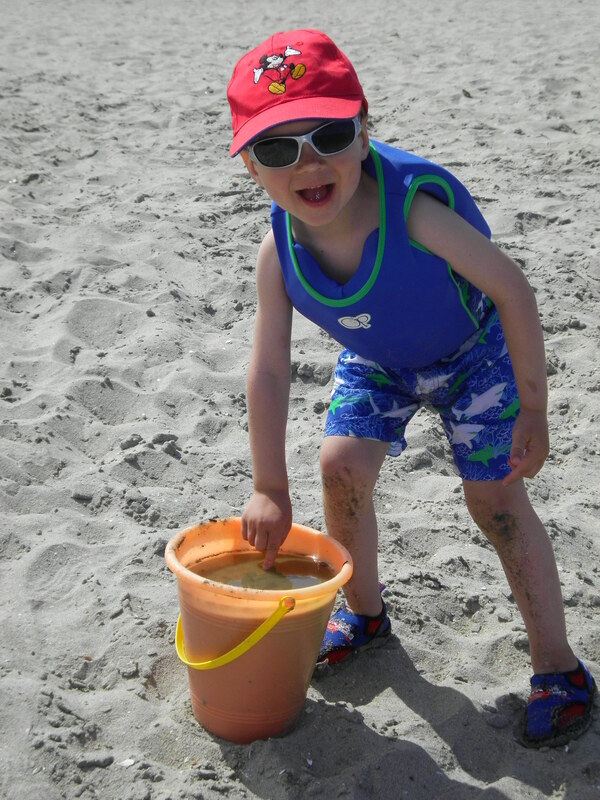 This photo was taken of Ian about 4 years ago at the beach. He was surprised about something but I don’t remember what it was. He was ready for summer fun then and he is ready today for the summer to begin. Summer… and the living is easy. Hope you have a great summer! 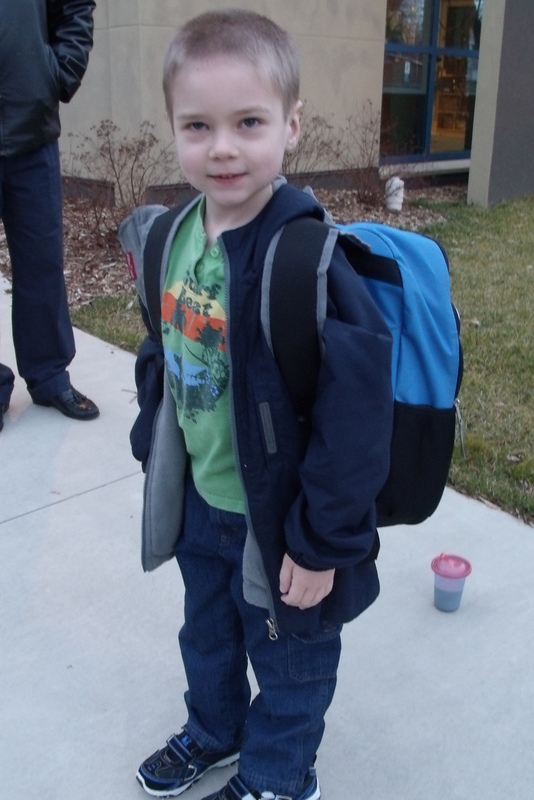 Starting this morning, Ian has four more days left of kindergarten. I am both happy and sad at this idea. Happy that it is almost summer and that he will be a rising 1st grader. Sad that our baby is growing up so very quickly. The year has flown by and he has made some good friends. He has also really liked his teacher and her assistant. And, he has liked all of his special area teachers as well. We have truly been blessed. I am so proud of all he has learned this year. It has been amazing getting to watch him learn and encourage him as he has done so. We have had more blessings that I can count. The kindergarten students will have a very fun last week. Today is beach day, tomorrow the music program, Thursday is field day and a picnic, and Friday is pajama and movie day. Doesn’t that sound like fun? I just wish I could be there all week with him to enjoy all of this. I wonder if this week will be as fun as I think for him. I have a feeling that it will. Happy Memorial Day! Today is a day all about bravery and sacrifice. We celebrate those who gave their lives for our freedoms. I applaud those men and women who protect me and my family and enable us to enjoy our way of life. Those killed or injured and the families and friends they leave behind are to be thanked and appreciated for all that they have done. These people are our heroes. This day is more than just a day off from work or school, more than just a cookout, or the start of summer. It is a day of valor, patriotism, sacrifice, and true and amazing love. 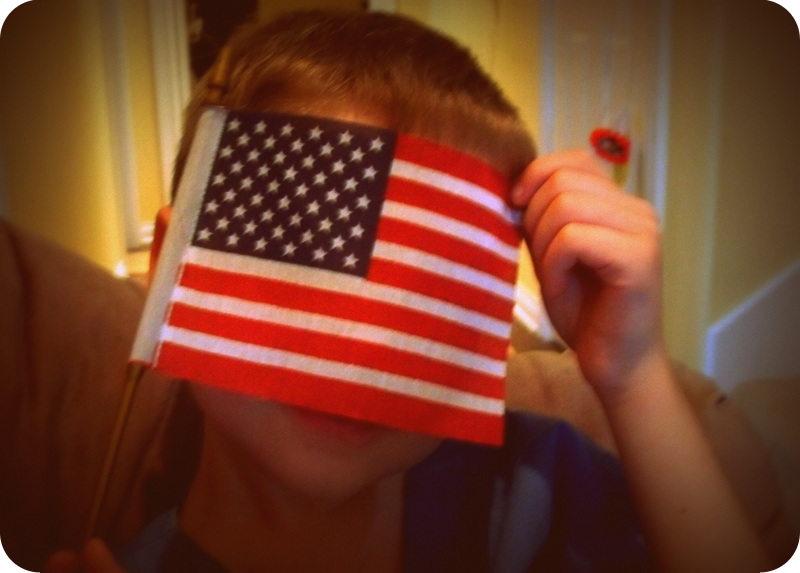 Thanks so much to all those who have ever served in the military or as a police officer or any capacity of protection. Because of you, I can live a free life. That is an amazing gift. As the saying goes, Freedom is never free. These amazing veterans and those currently serving know that only too well. 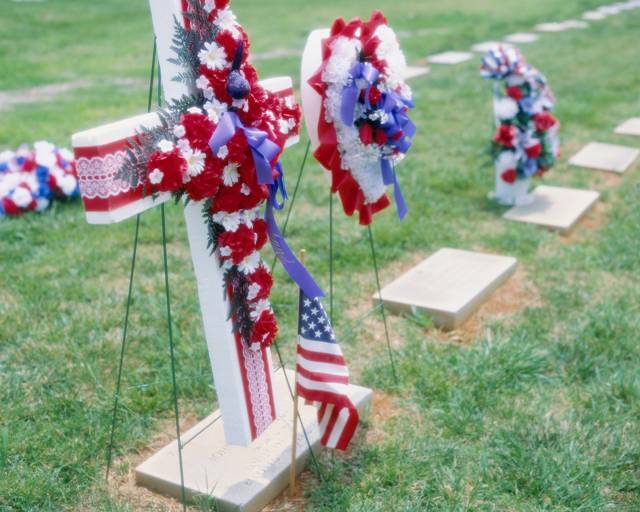 May we live lives that are worthy of their sacrifice. Happy Birthday to you dear Jennifer!!! Today is my friend Jennifer’s birthday. 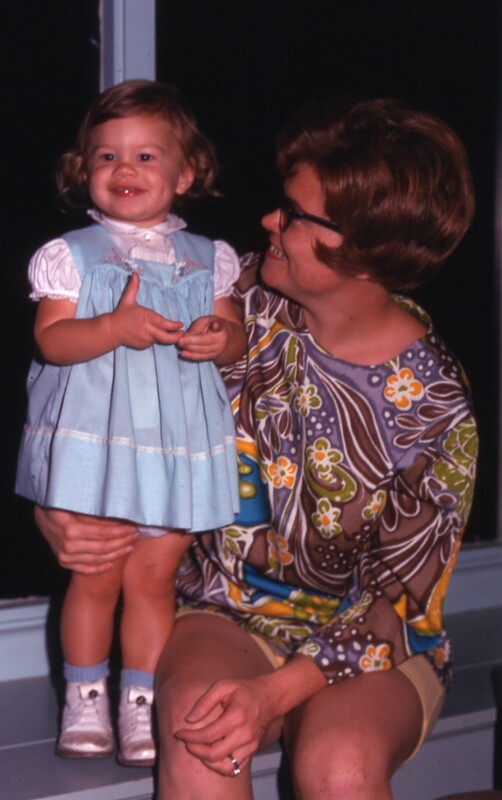 And, since it is also Throwback Thursday, I decided to include some photos of the two of us from many years ago. Jennifer is a friend who I met in high school. We were in chorus and show choir together and had a ball. We went on a few trips with the chorus our senior year with many other friends. I have such fond memories of this time in our lives. This first picture was just after we graduated. We were ready to take on the world and both went off to separate colleges. We still stayed in touch and remained tight. For that I am truly thankful. This next picture was taken at the back of Jen’s car while we were both home from school. We loved riding around town in this Z28. 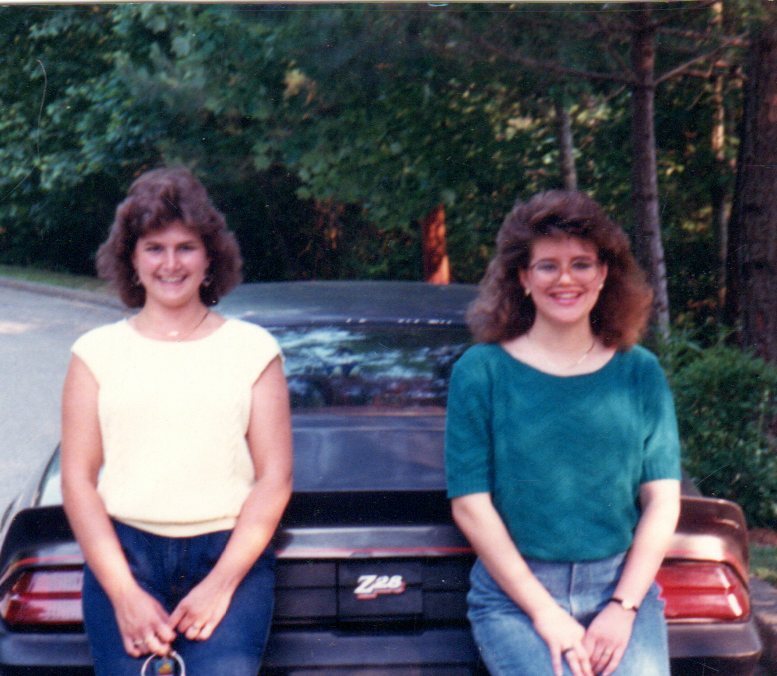 I love our big late-80s hair! Through the years, we have remained dear friends and have been there for each other through good times and bad. I love having Jen in my life and always have. A few times, we were more distant than others but always found our way back to spending regular time together. We still often see each other and always have a great time. We still can talk about almost anything. 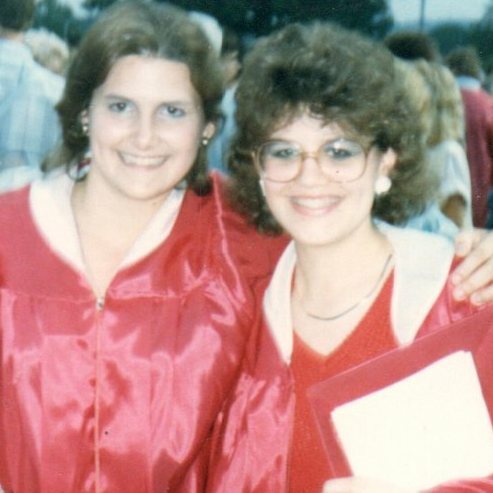 As Bette Midler said in the movie “Beaches,” my memory of Jen is very long. And wonderful and full of happiness, some sadness and all of life’s experiences. It is a true blessing to have Jen as my dear friend. To Jen, I want to say thanks so much for being you and for being such a great friend to me over all of these years. How many again? Many wonderful years! Thanks for inspiring me, teaching me about being a mother, and for being you. Jen, may you have a wonderful and truly blessed day! Happy Birthday!!!! Hi and Happy Monday! Today is the last Monday of kindergarten for Ian. He has 8 more days left of school and is very excited for the summer. I on the other hand am having a hard time realizing that his first full year of school is nearly finished. It went so fast. How is it the end already? It seems like he just started. But, there are huge differences. Now he can read! He has learned to be more independent. And, he is learning math and so many other things. He has loved his teachers, making new friends, and the entire experience. We will soon have a rising 1st grader. Today is also a celebration for my niece who just finished 8th grade. She starts high school in the fall – 9th grade. Amazing! I remember when she was born and when she was Ian’s age. And, now she is a teenager ready for a new chapter. Time has flown! Sadly we won’t be at this party to celebrate this milestone but wish we could be. We love you Gussie and hope you have a great time! Can’t wait to see the photos! Today is also my dear friend’s son’s birthday. Kendrick is 19 years old today and graduating from high school. I remember when he was a little guy too. He has grown up into such a nice young man. Happy Birthday to you Kendrick! May you enjoy this amazing year coming up. May you have fun at school and enjoying the experience and all the amazing things that you will learn. Life is so full of changes and these are great ones. Yet, I have happy tears as I realize these are major milestones for three dear young people. I wonder how these three young people will enjoy these changes in their life. May they enjoy the journey! Tomorrow is my friend Dawn’s birthday. Happy Birthday to you dear Dawn! She wrote a great blog today about it. Please see the link at the bottom of the posting. It is a fun read. Here are some fun pictures from the era we met — when we were in college. We met our freshman year and have been friends ever since. The black and white photos were taken on a trip we took to Ocean City, MD. We had a blast and were real hams for the camera as you can see. 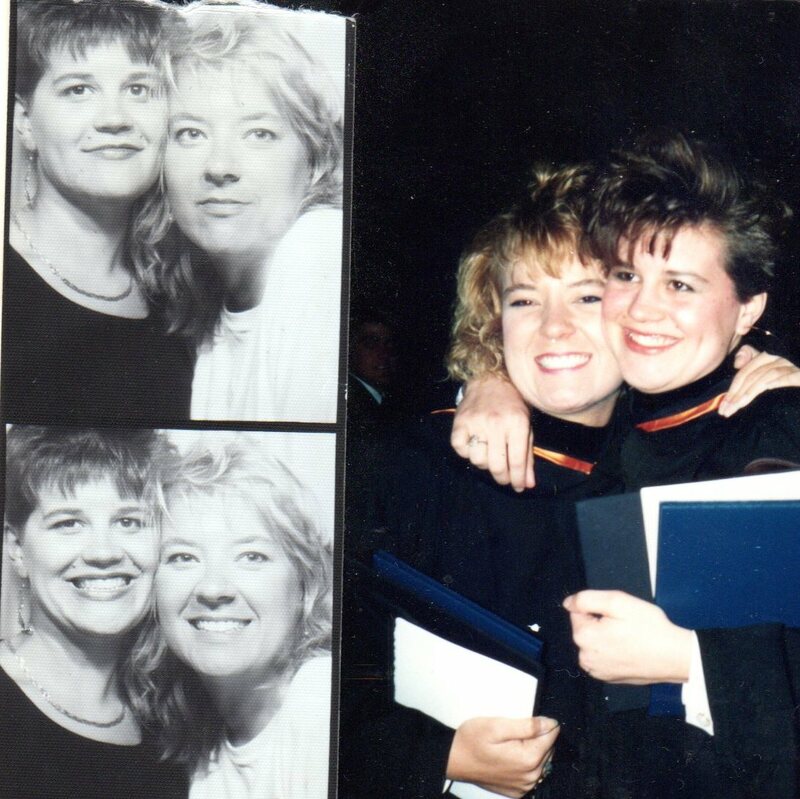 The color photo is from our college graduation! YEAH, we made it. We celebrated with our families and had a lot of fun. Dawn is a forever friend, which is a rare gift! I am so happy that I have known her for all of these years. Now we are in our mid-40s, which is truly amazing to think about. Where did the time go? It seems to have flown by. I like that for many years, we lived near each other after college. We stayed in touch and saw each other regularly. Now, we no longer live close in distance, but do still keep in touch. I just miss spending time in person with her over a glass of sweet iced tea, a tasty meal, and a shared memory. I would love to go dancing with her, go to a chick flick movie, or on a long walk with my friend. Another trip to the beach would also be fun. We have always had differences but also quite a few similarities. I like that about our friendship. I continue to learn things from her and am inspired by her life, her career, her relationships, and those things that are important to her. We clicked from the moment we met during freshman year and I am very thankful for her being in my life. Dawn, may you have a wonderful birthday! May your time with family and friends be blessed! Hope to see you again soon. Happy Birthday to you! Welcome to the 46th year of life. Can you believe we are that age? I sure can’t!!! Love ya! Hi and Happy Thursday! Today’s photo challenge is From Where I Walk. It is also Throwback Thursday. So I decided to go really old school. 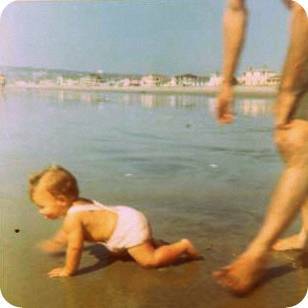 Here I am with my parents as a toddler at my favorite beach — Mission Beach in San Diego, California. I love that Mom and Dad wanted to get me in the water. I seemed to like it even then. Of course, back then I wasn’t walking yet. However, I did try crawling at the beach and seemed to enjoy it too. My dad raced to keep up with me, as you can see in the second photo. 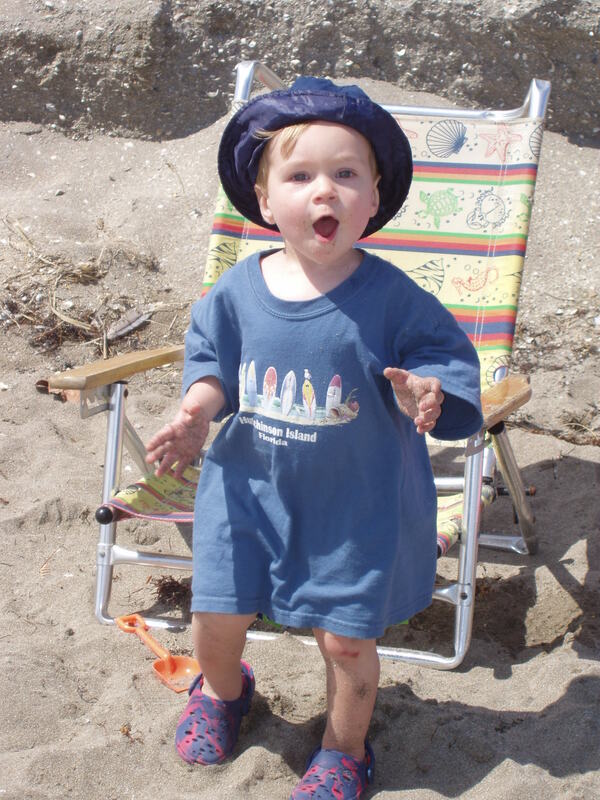 For as long as I can remember (and longer apparently), I have loved the beach, the ocean, and sand. And, since I have been able to walk, I have enjoyed walking at this beach and the neighborhood around it. 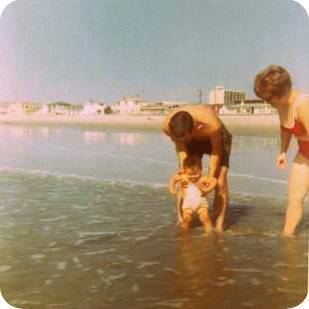 I am very thankful that my parents took me to the beach at a very young age and many times since. Kirk and I did the same with Ian and now he loves it too. This beach is one of the best places to walk, as is the nearby boardwalk. There you can see all walks of life, people riding bicycles, skateboarding, rollerblading, running, and walking. There even is a man who skates in slow motion. In addition to my beach walks, I also enjoy walking in our neighborhood. And, this school year, I have enjoyed walking Ian to and from school. We have adventures each time, enjoy talking or he asks me questions and I do my best to answer them, and we look at nature. It has been a blessing for me and he seems to enjoy it. I wonder when I will able to walk next at this favorite beach? I hope soon. In the meantime, I will enjoy walks in many other places. 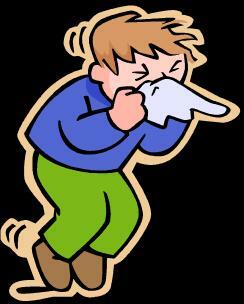 Tis the season for sneezes, runny noses, and pollen. Lots of pollen. Pollen has been super high in our community for the past two weeks and we are suffering because of it. We all have the crud and it isn’t fun. 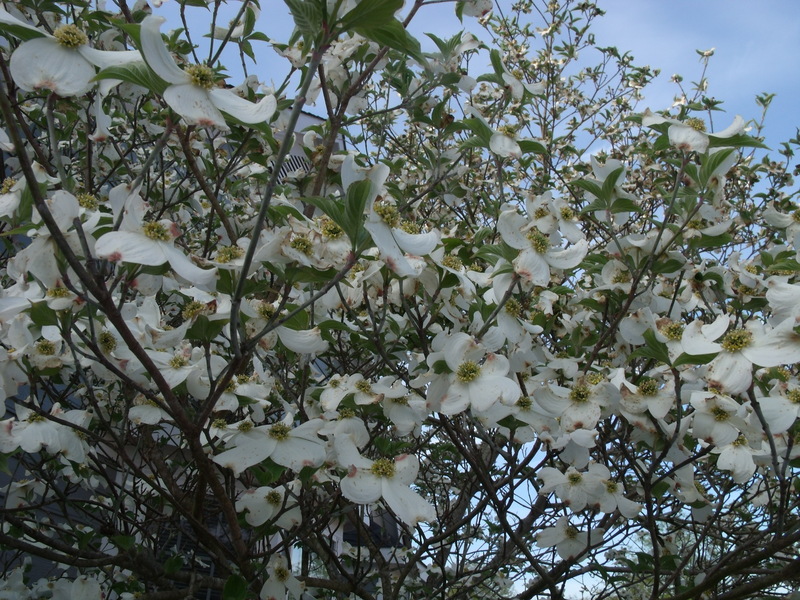 This lovely Dogwood and other trees have been the culprits for the last week. As pretty as they are, I can’t be outside with them very much. I may have to get out a mask to wear when I go out. “Okay Mommy,” he said reluctantly. He seemed to understand as he too has been suffering this year from the pollen. With recess most days at school, he is outside quite a bit. It is so frustrating that the beauty of spring always gets to me. Darn that pollen! Aaaaa-choooo! I wonder how much longer the pollen will be at high levels. I hope it’s not much longer. Rain is expected soon so hopefully that will help some. Tomorrow is Mother’s Day. I decided to write this today since we will be busy tomorrow with a variety of activities. Happy early Mother’s Day!!!!! I am blessed to know, love, and spend lots of time with my mother! 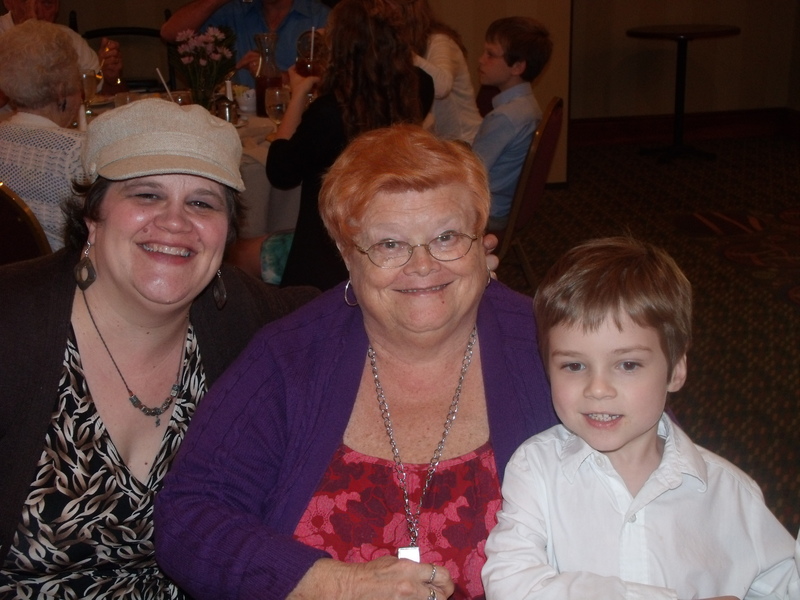 (Here I am last year with my mother and son at a Mother’s Day luncheon). *Thanks Mom for all that you taught me and have done for me over the years! And you still continue to do so much for me, and my husband, and our son. *When I was a child, I didn’t appreciate you as I should have when you were at home helping us with all of our activities. I suppose I took it for granted and didn’t know any better. Now that I have my own son, I see what you did in a new light. Now I appreciate all that you did to make my childhood so special. Mom, I Love You so very much!!! I also want to say Happy Mother’s Day to my mother-in-law, sister, sisters-in-law, cousins, aunts, nieces, and friends. All of you are great mothers and people who I have learned a lot from. It is so nice to have such strong women and great mothers in my circle of people. You all rock!!! Being a mother has been one of the most rewarding, yet most challenging things ever in my life. I never expected to love my son as much as I do, or his daddy so much. I never appreciated my own mother more than the first night we brought him home from the hospital. And, even though I am a grown woman, I still want my mommy when I don’t feel well. Moms are amazing and I am privileged to be a part of the mom club. To my mother, the mothers in my family, and my friends who are moms, I love you all and am so glad to be on this mom adventure with you. May you have a fun and blessed day! 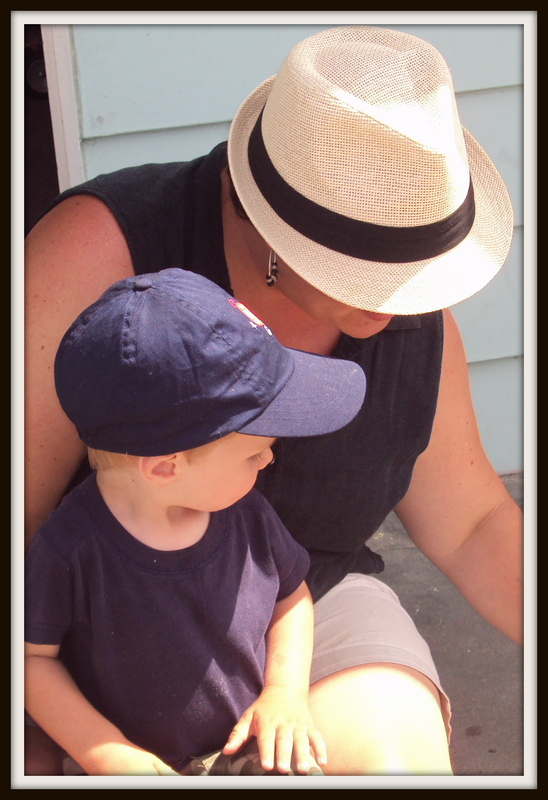 I wonder what new mothering adventures I will have with Ian. I can’t wait to find out and have my friends and family with me.